Unlike the open-source Android platform, iOS does not a built-in downloader. When you tap on Download button on a song in Safari browser, it will not automatically open in the Music app. Apple wants to tie users using Apple Music, buying movies from iTunes and other things. But what to do if you want to download videos or music online on your iPhone? There are a few ways to easily download videos and music on iOS devices. 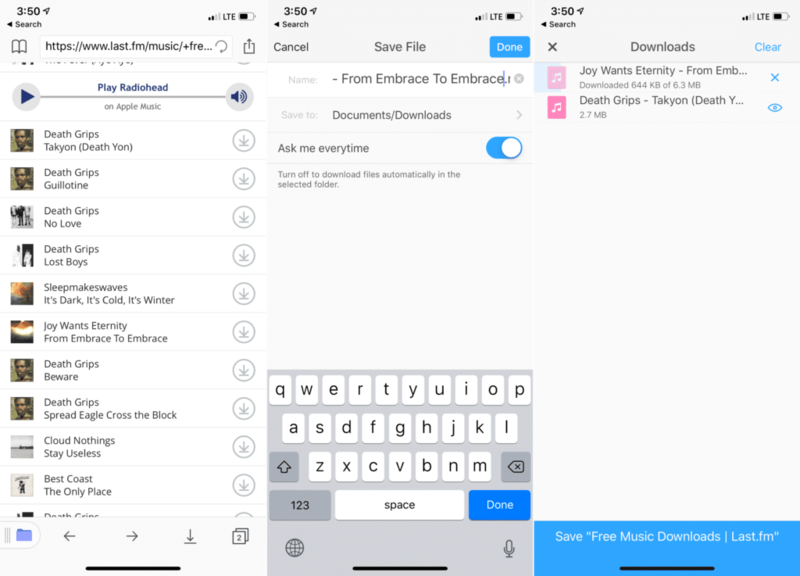 The first method to download videos and music online and play it offline on your iPhone/iPad is to use the Documents by Readdle app. It’s an all-in-one app, including built-in browser, downloader, file manager and even a media player. All you need is simply access the website in Documents and then tap on Download button. You can also choose the folder to save the file. Once downloaded, just tap on the video or the song to play it. Documents can possibly play most audio and video formats directly in the app. 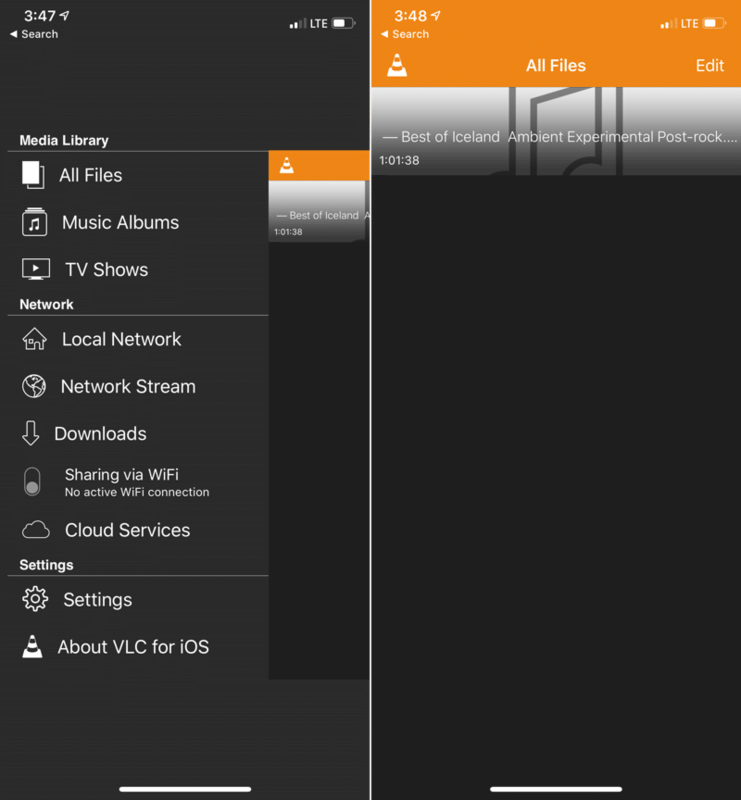 If you like, you can share it with other apps like VLC. Documents app also supports transferring files from a computer. If you’d like to transfer videos from your computer to your relative’s PC, make sure to connect them to the same network. Then, just visit: docstransfer.com and scan the QR code. Select your preferred files and they’ll be transferred to your iOS device instantly without the need for installing iTunes. Although VLC doesn’t come with an inbuilt downloader, the WiFi Transfer and server tools are still exquisite. Launch the sidebar in the app, tap on the Wi-Fi Transfer option to enable it. Type in an address in a browser on your PC or Mac, then choose the files to transfer and wait for the process to complete. If you’re running a DLNA or Plex server, you don’t have to transfer anything. Simply connect to the server and then start streaming instantly. If you are paying the premium iCloud Drive version, you can also upload your videos and music to your iCloud Drive. It’s available in the Finder app if you are using your Mac and on the Files app on your iOS device. Files is a new app that was added by Apple from iOS 11 to iPhone/iPad. Just open it and your iCloud Drive files will show up right there. Tap on one to load it and tap it again to start playing directly in the Files app. If you feel annoyed with the limitations of iOS platform, the new Shortcuts app might feel like a god-sent. It’s an Apple user automation app in the latest iOS 12 version. With Shortcuts app, you can do many things that you can’t do with apps on the App Store. Running complex automation workflows where multiple actions run one after the other is easy as pie. Another thing you can do is to run user-created shortcuts. There is a shortcut, called Video Downloader, which allows you to download videos and music from major websites, including Facebook, YouTube, DailyMotion, Twitter and so on. You will also find a shortcut, called YouTube Ripper, giving you an option to download the audio only from the video file. You simply open the video, share it, then choose Shortcuts and run the shortcut. 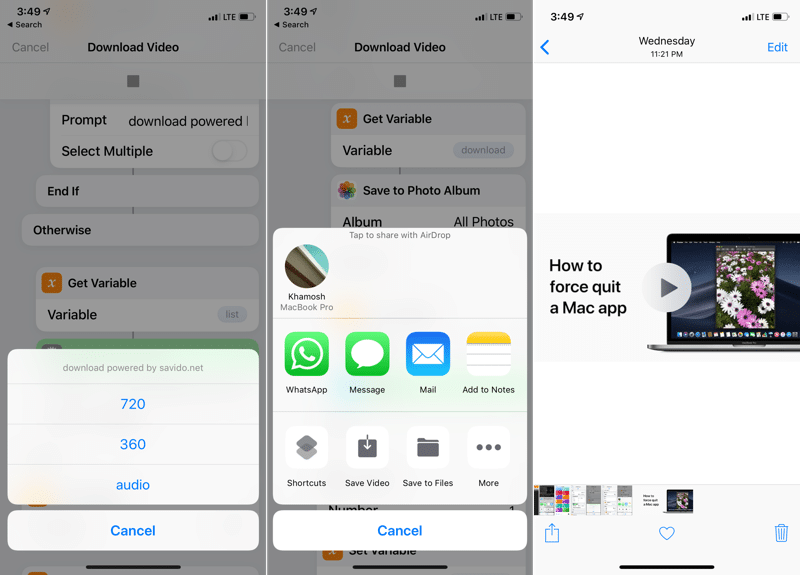 After the video or audio has been downloaded, choose the folder to save it (in iCloud Drive for example), or open it in an app like Documents. No matter the app you’re using, all popular servers now offer an offline feature. Although you cannot download all media in this way, most movies and TV shows can. 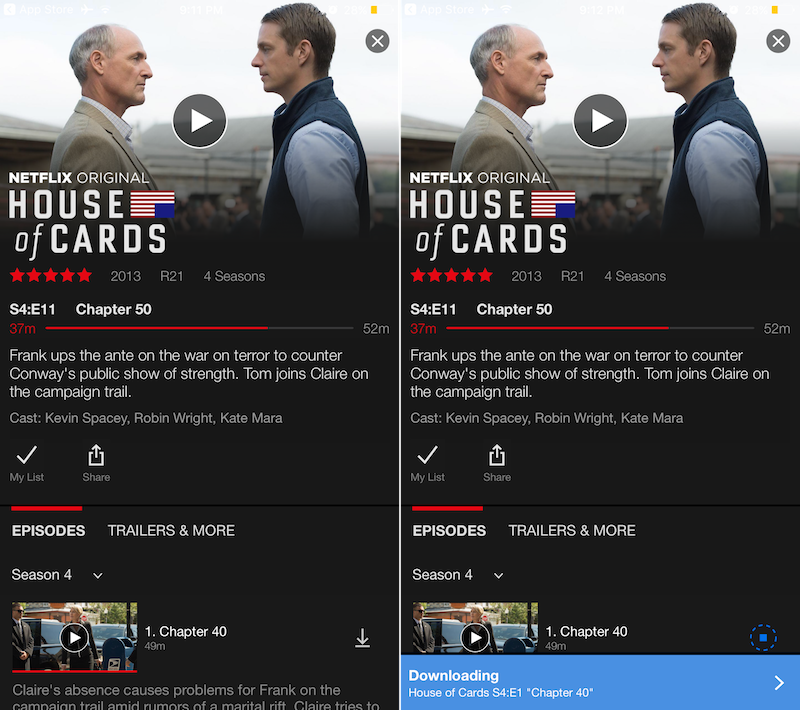 Popular apps such as Netflix, Amazon Prime Video, Hulu and so on, they have a built-in Download button. It’s also the same for music streaming apps, including Apple Music, Spotify, and Pandora. If you’re paying monthly for the premium plan, you can download your favorite songs for offline playback! Simply launch your favorite app and search for the Download button. Why you need to pay $10 per month for Apple Music or Spotify while you have already got your own music collection on your computer. Don’t you know that you can turn your music into a streaming app through a cloud syncing service like Drive or Dropbox? All you need is to upload the music on your Dropbox or Drive and then download the Cloud Music Player app on your iOS device. After that, connect your cloud storage account within the app. Wait for a few minutes and all your music is now available to be streamed on your iPhone/iPad, whenever you want. It does not require a subscription. You can also download the music to listen to offline. Do you transfer and keep your music or videos on your iPhone/iPad? Or do you just use streaming services and offline feature to save files offline temporarily?